The close relationship between Chris Schmidt and his older brother, Otto, goes awry during the Protagonist’s third year in college, where they are roommates at college. 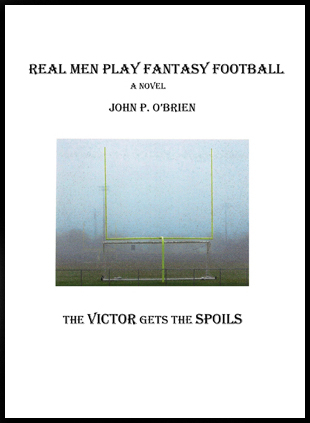 Otto, a star football quarterback, is addicted to pain pills because of a neck injury, but refuses to have neck surgery until he achieves his dream of playing pro-ball. Otto’s unrelenting drive to become an NFL pro without regard to the consequences to his physical health and his immorality towards coeds become major obstacles to the brother’s bond. Chris, who is strongly attracted to one of Otto’s ex-girlfriends, Anne Mahoney, feels caught in the middle between the growing animosity between Anne and Otto. Anne’s mission to probe Otto’s past crimes against her heart, mind, and soul becomes a major stumbling block to any romantic relationship because Chris refuses to help her in her pursuit of justice against his brother. Ultimately, Otto’s intent to deceitfully cause a pregnant girlfriend to have a miscarriage leads Chris to a crisis of conscience, and he chooses to take bold action to stop the abortion, which totally disrupts his college life and his family relationships.